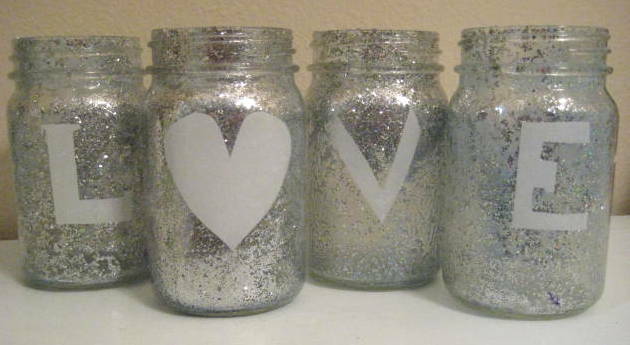 Need an inexpensive Valentine’s day centerpiece? 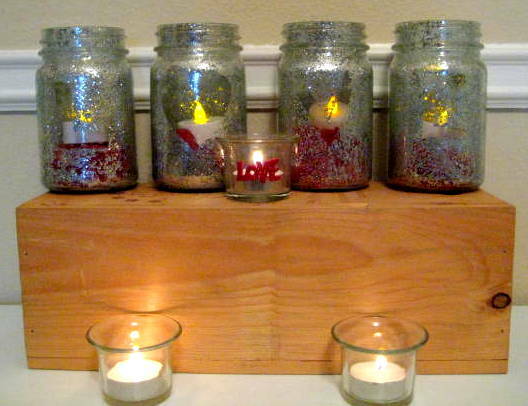 Do you have extra mason jars lying around? Why not put them to use. 1. Cut the vinyl to the design/phrase you wish. 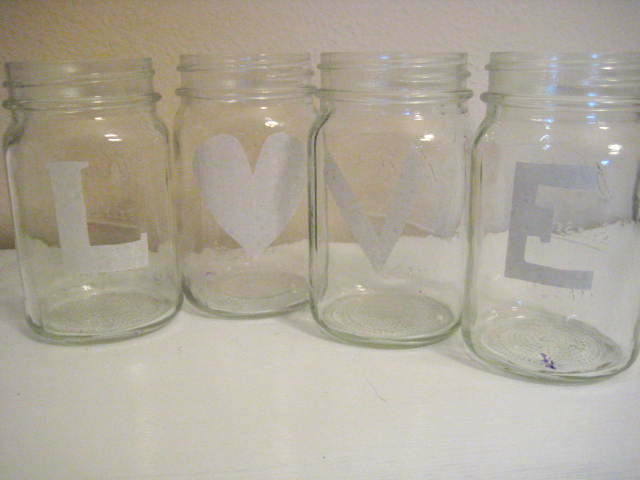 and adhere it to the inside of the jars. You will want to make sure it is pressed firmly to the surface. 2. 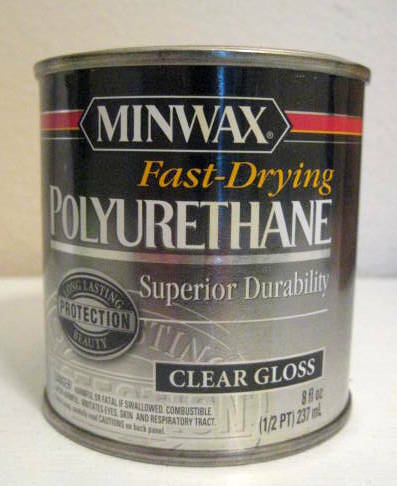 Pour some of the polyurethane into the jars, swish it around until completely coated. Any excess, pour out or into another jar. 3. Add the glitter, cap and shake until coated to your liking. (I ran out of glitter half way through so I used embossing powder, works like a charm.) Let it dry overnight, or until it is dry enough to put FLAME LESS candles in.